The new Happiness: God’s Invitation to Delight, Celebration, and Joy study deals with an issue that’s important for us as followers of Jesus and critical to our mission of sharing Him with our world. For 1,800 years the church held a shared understanding of happiness. Preachers and theologians recognized happiness as a good thing God created, and they spoke accordingly. They recognized that the innate desire to be happy motivated people to seek Jesus. The church’s message across the centuries was that following Jesus provided the way any person could find forgiveness, meaning, and fulfillment—that is, happiness. Then over the past hundred years a change occurred. A different idea of happiness took root in the church. Happiness came to be associated with the world. Words like blessed and joy, which originally meant happiness, took on new connotations. Godly, well-meaning believers began to preach and teach that happiness is an enemy of holiness. Christians were told they shouldn’t desire happiness but rather an unemotional form of joy. Sadly, in the process many passages of Scripture lost their richness and strength because we no longer understood the true meanings of the words. 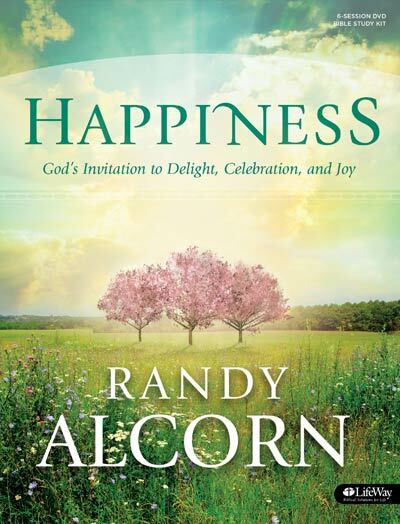 God’s Promise of Happiness is designed for believers who want an introduction to the topic of happiness, but don’t have the time or inclination to engage the larger work. It's also written for unbelievers who are interested in the subject and will be drawn to the Gospel as “good news of happiness” (Isaiah 52:7, ESV).